Lean is becoming a world-class word that represents continuous improvement and most of all the importance of focusing on creating value. The implementation of Lean Manufacturing will lead us to improve quality, reducing costs and at the same time the elimination of non-value-added activities. For these reasons, several organizations try to adopt the philosophy. Although the application of Lean principles brings numerous benefits to organizations, at this time the optimization of the productive process is not enough. Ensuring optimal safety conditions of all the employees has been one of the top priority, exceeding “quality” or “performance” as indicators of success. 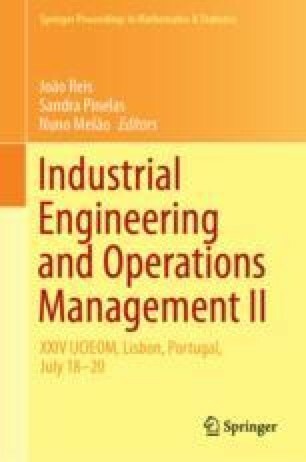 In this paper, a case of study in one industrial unit of one of Europe’s largest car producers is tested and then it is evaluated how the implementation of lean tools, more specifically 5S, can contribute to the occupational safety conditions. The present work demonstrates another of the several advantages that is obtained from the use of 5S. Apart from being a powerful tool for organizing and optimizing the workplace environment, this study demonstrates that it is also essential to ensure occupational safety.